There are a million backpacks out there. Which is right for you? 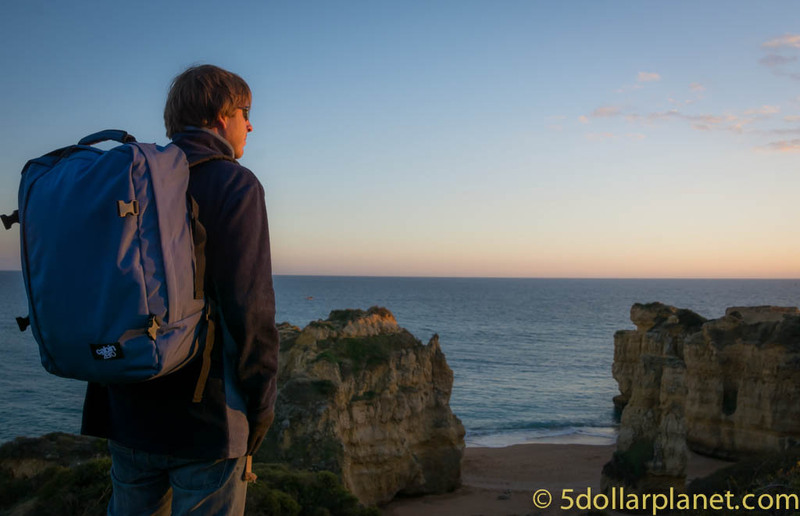 In this article we are going to show you how to choose a backpacking pack. We’ll cover the basic questions you need to be thinking about before you decide on a backpack. First, take the quick quiz to decide which type of backpack will best suit your personal travel style. Then narrow down your options and figure out exactly which packs to start shopping for and how to find the right price and right comfort level for you. There are too many backpacks to choose from? 2 months later you find yourself in monsoon season hiking through the jungles of Borneo and realise that the heavy wheeled backpack, that was going to be so much more convenient than carrying a hiking pack, just doesn’t roll through mud. It’s an extreme example, I know. What is more common is simply that first time backpackers get something that is ok for their trip but not ideal for them personally. So, lets start narrowing down the options. So, which type of backpacker are you? Backpacks for travelling fall into 4 basic categories. The type you need depends on your personal travel style. Once you identify the type of traveller you are then you can narrow down your backpack choices and find your perfect backpack easily! Take the Quiz to find out what type of backpack is most suitable for you. Find a more in depth description of the results below the quiz. Find a more in depth description of the results below this quiz. This category is going to fit the majority of all first time travellers as well as many long term travellers. You are mainly visiting populated towns and cities, rather than heading into the wilderness for prolonged periods. You need space to take some basic home comforts with you but won’t be bringing the kitchen sink. 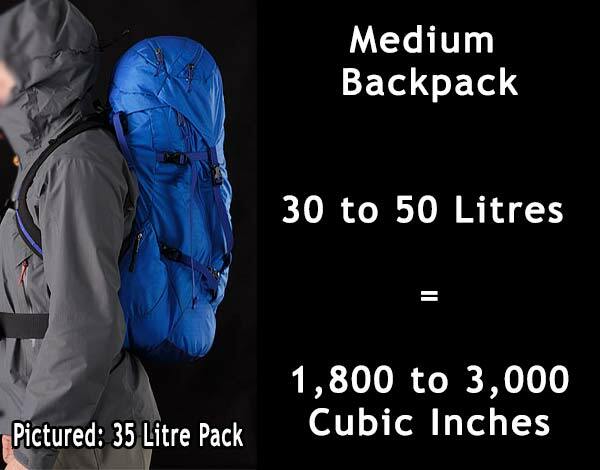 You need a 50 – 80 Litre Backpack. Typically Front loading packs that zip open all the way round to allow quick access to all your stuff at once. 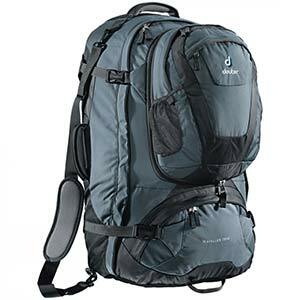 The Osprey Fairpoint 70 Backpack is a lightweight (only 4.5 pounds – just over 2KG) and high quality option. The perfect size for the typical backpacker and with all the modern fittings you’d expect from a high-end manufacturer – including integrated daypack, great lumbar/sternum support and a mesh to stop you getting a sweaty back! If 70 litres is too big, they have the Osprey Fairpoint 55 too. Still with daypack and all the other great features, this pack is normally small enough to get in the cabin on the plane, but it is borderline with some airlines. 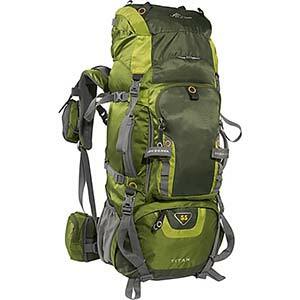 They also have the Osprey Waypoint 65 (65 litre pack) and packs designed specifically for women. This category is for people who can live with the bare minimum. By sticking with a small pack you can fly “Carry-on only”, saving you time and money at the airport. Your bag is small enough and light enough to make wandering the world a breeze and back ache a thing of the past. Remember, in addition to your backpack, you can also take a hand bag/shoulder bag, a camera bag and a laptop bag (if you can’t leave your computer at home) on most planes. This gives you a lot of flexibility but be aware that having your electronics out in the open makes you a target for crime and also for rain! You need a 30-50 litre travel backpack. NOTE: Some packs include an attached daypack. The carry on sized portion of the pack may not include the attached daypack. Minimal stuff, minimal weight to carry. No luggage fees or waiting to check in or collect luggage at the airport. Your pack will fit in overhead luggage racks on busses so you can always keep it with you and not have to worry about it being stolen from under the bus whilst you are asleep. You can’t take as much stuff with you. You can’t take certain things on the plane – large shampoos, penknife, Sun Tan cream, aerosol cans. A good sized 40 litre pack with a weight of less than 3 pounds (1.4Kg) is the Osprey Farpoint 40 . It is a high quality, durable pack and even has compression straps built in to help reduce luggage space usage. The price may be a little higher than you want to pay but you are getting a quality product. Cabin Zero – Urban style backpacks that fit Easy Jet & Ryanair’s cabin specifications – among others. 44 Litres in capacity this bag is front opening for easy access and offers built in Global Luggage Tracker, powered by Okoban and a 10 year warranty. We mentioned the Osprey Fairpoint 55 above. It’s the big daddy of carry on packs – it even includes an integrated daypack. 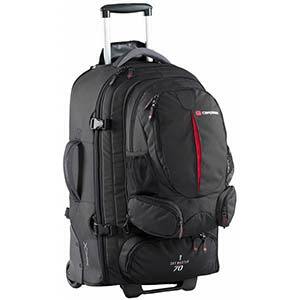 This pack is normally small enough to get in the cabin on the plane but it is borderline with some airlines, especially budget ones – so don’t count on it. If you want more space than the average light & easy traveller, this is it. The Ebags Mother Lode 22inch is exactly cabin baggage size. It is compartmentalised – even including a specific laptop pocket. Designed specifically to meet the needs of the modern, lightweigt traveller. In addition to this you could have a separate small shoulder bag and a camera bag – thus leaving more space in the main case for essentials. The square design maximises capacity compared to rounded bags. We currently travel carry-on only with the “Cabin Zero” 44L bags. Can’t live without your home comforts? Need 20 different outfits? Can’t deal with carrying the heavy bags? If you can’t travel anywhere without your hair straighteners and 3 bottles of product then you are a comfort traveller. If you have a back injury or are perhaps backpacking a little later in life and don’t want to spend hours carrying a heavy backpack, you are a comfort traveller. You need a backpack with wheels! These come in many sizes, so choose a size that suits for the amount of luggage you want to take and then revel in the fact you rarely have to carry it. The wheels avoid heavy lifting for you in most situations. The empty bag itself is heavier than a traditional backpack. This uses up valuable weight for your flight luggage limit. If you do have to wear it on your back it will be heavier. Comfort for actually wearing as a backpack will be significantly less than with a standard backpack. The High Sierra 22 Wheeled Backpack with Daypack is one of the best compromises we’ve seen of any backpack. The price sits around $100, so very affordable. It includes a daypack, which can zip on and off the main pack allowing one piece of luggage for regular travel, the daypack for around town/short hikes and you can split the two when going travelling by air. The 22 inch (approx 44 litre + Daypack) main bag is small enough to go as cabin baggage. Most airlines will let you take a main bag and a side bag in the cabin – so this pack is about the maximum you can get on the plane. Its also small enough that, unlike the bigger wheeled backpacks, it is more manageable to wear when wheeling is not possible. Eagle Creek Flip Switch 22″ For those that like things comfy. This backpack is padded to the hilt and offers a variety of different carry options. There is also a padded sleeve ideal for storing your laptop and the main compartment feature compression straps to make sure you gear stays put. Coming in at a total weight of about 6 lbs this bag really offers it all. If you’ll be heading off the beaten track, trekking and through all weather conditions you are an adventure traveller. Long distances carrying a heavy pack can be tough. You need something light but big enough to hold everything you could need to survive in the wilderness. You also need to keep your equipment protected from the elements. You need an all terrain, all weather backpack. Top loading packs with lots of utility add ons. These are fine alternatives to a regular travel backpack if you prefer this style of pack. Designed specifically for the wilderness and comfort during prolonged wearing. Good quality ones are rugged and waterproof. Specialist hiking packs are often more expensive than a standard backpack. Unnecessarily complicated for city/town travel. The Osprey Aether 70 is a serious hiking pack with a serious price to match. Great features for comfort on the trail. The High Sierra Appalachian 75 Internal Frame Pack has a lot of features you’d expect from a much more expensive backpack – including an integrated pack-away rain cover. The Kelty Coyote 80 is a large pack but well designed. The top section actually separates to be a day pack. Even though this is a top loader, it features access points for the middle and lower parts of the bag. We’ve made some suggestions for good choices on the market but there are many more. 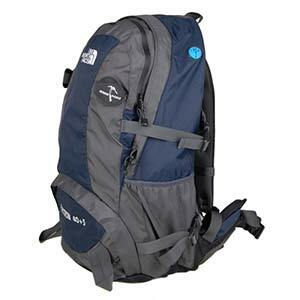 Below we cover all the FAQs that people looking for the perfect backpack need answered. How Much Should I spend on a backpacking pack? Your backpack is your life on the road. It’s one of the most important investments you’ll make. 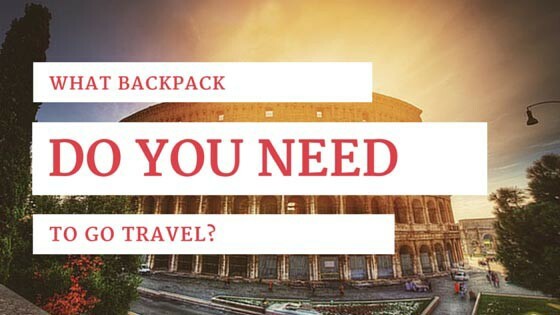 Choosing some low price backpack in order to save a few dollars at the outset is a false economy – especially when the stitching comes apart as you are running to catch a bus across the busy streets of Bangkok. Collecting your underwear from the gutter whilst tuk-tuks dodge around you is not an ideal travel situation. You need a durable pack. A great pack will last for years and won’t let you down whilst on the road. Don’t skimp and buy some cheap, pseudo waterproof piece of crap to save yourself $50. Most good packs, especially the full size (60-80 Litre) ones, are going to be over $100. You may find some good sale prices around $75. If you buy a $30 wal-mart backpack… good luck. Liters? Cubic Inches? Small/Medium/Large? Backpack manufacturers love to use terms that mean very little to the uninitiated. What you really want to know is: Will this backpack fit all my stuff? You probably need a lot less stuff than you think. The bigger the backpack the less selective you will be in what is essential to pack. Therefore a heavier pack to carry. 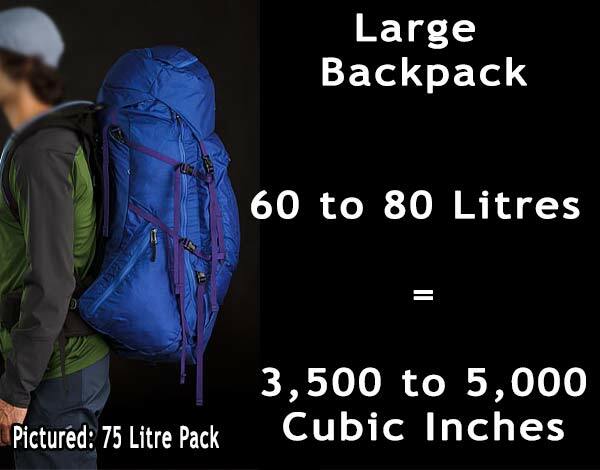 Unless you are going on a super-remote hike where you need to carry absolutely everything for survival with you, it’s unlikely you’ll ever need 80 litres of pack per person. This is going to come down to what you really need and just how much you can live without. 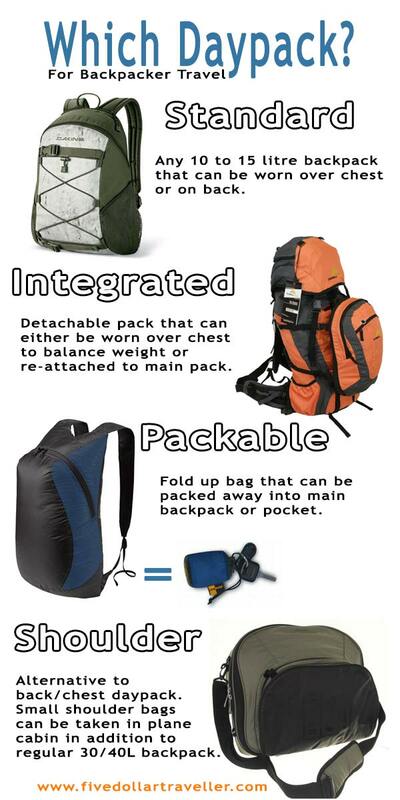 Here is a guideline with pictures to help you gain some perspective on pack size. Small Pack capacity = 10 to 25 litres = 600 to 1,500 cubic inches. Few travel backpackers head out with less than 30 litres of pack. But a small pack is often taken as a second pack that can be worn on the front or as a side bag with shoulder strap. NOTE: If you want to get your pack in cabin baggage on the plane, 30 to 40 litres is normally easy to get through security. Some travellers get 50 litre packs through, though not always. Anything above 50 litres will probably get rejected and put in the hold – at a charge. Should I also take a day pack on my trip? Day packs are very useful. A 10 to 15 litre daypack will fit all your basics for day-trips and then you can leave your main pack at the hostel. As well as daytrip use, we have found another great advantage for the daypack. If you are serious about overnight hiking trips then a slightly larger pack (20 to 30 litres) may be more suitable, but you have to balance that occasional need with the everyday reality of carrying an additional large pack – or consider the fold up bag option. On long train/bus rides and at the airport, everything we need for the trip – snacks, cameras, headphones, ipods etc. and certain other valuables go in the daypack. Non-valuable items such as clothes and toiletries go in the main pack and into the hold or onto the luggage racks. This means we never need access to the main pack whilst travelling . A day pack can either be worn forward – over your chest like a reverse backpack – or, on many models of backpack, it can be zipped or clipped onto the main pack. Sea to Summit packable Daypack – As pictured in the infographic above, this folds down to fit in your pocket. If you are travelling solo then you’ll need everything for the whole trip in one pack. Travelling with friends you are probably going to want to have your own stuff seperated. But, if you can share certain things, like shampoo, than this will help reduce the total weight of luggage in your group. If travelling as a couple, luggage can become even easier as you can share a lot of things. Less stuff means less total backpack size and weight needed and you can even share backpack space. Our personal setup is one standard 65 litre pack with 10 litre daypack that zips on and one 30 litre dry pack (this is a kayak pack that can be partially submersed in water and remain waterproof – piece of mind for our laptops/cameras during monsoon season). You can read our full review of the Overboard Dry Pack. Our setup only really works for couples. Also, as bloggers we have way more stuff (laptops, tripods, DSLR camera) than the average traveller may need. What sort of weather will you encounter on your trip? A standard waterproof backpack may handle a European summer shower. It won’t necessarily fare so well in a full Asian monsoon. Waterproof ratings range from 1 to 5. “One” being something that is proofed against light rain, all the way up to “five” which can resist indefinite, complete submersion. Bare in mind, Water resistant & Waterproof are also two different things. A water resistant pack will take sometime, depending on the quality, to allow rain inside the pack, but prolonged exposure will almost certainly result in damp belongings. If you choose a pack that is water resistant rather than waterproof, you’ll want to consider a Backpack Rain Cover . If you are travelling mainly in dry climate countries, or only expecting light rain, a water resistant pack is sufficient. You’ll potentially be carrying your backpack for many hours at a time. It may be a hot day. It may be raining. You can’t control certain problems but you can get a pack that fits comfortably and minimise the amount of weight by selective packing. Waist Strap. Most backpacking packs have these. The strap clips around your waist and helps to distribute the weight. Adjustable shoulder straps. Once again, all good packs have these. The trick is knowing how to adjust them to create optimum comfort. Internal Frame. Modern packs are internal frame, meaning the rigid supports in the backpack are inside the fabric. Don’t waste your time with the clunky old external frame stay packs. Lumbar Support. Its the watchword for everything back related these days – for good reason. A pack with quality lumbar support is a must. Ventilating back panel. Avoid the dreaded back sweats by choosing a backpack which allows air to flow between your back and the pack. Another factor that will affect comfort is choosing a pack that is a good fit for your body shape and, specifically, torso length. As well as capacity and strap adjustments, good manufactures size backpack models to fit different torso lengths. So if you’ll be buying your pack online its useful to measure your torso length in advance to be able to order the best fitting pack. This is done more easily if you have a friend to assist you. Here is how you do it. Locate your iliac crest: Find the top of your pelvic bone – between your hips and waist – and follow it round to your back. Measure up from that point, along the spine, to the bone near the base of your neck that juts out when you lean your head forward. *Note: Overall backpack size is sometimes listed in Inches. This is not the same as the torso length measurement. Price: US$100 to $200 for a full size 60 to 80 litre pack is the Goldilocks zone. Much Cheaper is unreliable, more expensive is typically unnecessary unless you are going on a mountaineering expedition. Some online sellers have great discounts that may find you a good product for less than $100 though. Waterproof: If you choose a pack that is water resistant rather than waterproof, you’ll want to consider a Waterproof Backpack Cover . Some packs include an integrated cover. Size: Smaller packs mean less weight to haul around. Bigger packs mean more space for your stuff. Find a compromise right for you. Multiple zip access. It starts raining and you realise your rain jacket is at the bottom of your 80 litre pack. doh! A top loading only pack means minimal access. Zips that open all round, at the sides, near the bottom mean easy, quick access. Many modern top-loaders now have side access zips. Compartments/Pockets. Keep your pack organised by getting one with internal zippered compartments and/or additional exterior and interior pockets. Packing Cubes or Compression Bags are also a great option for keeping organised and maximising space. Comfort. Refer back to the list of comfort enhancing features and correct backpack sizing above.